So, you are a newbie author and you’re awaiting the release of your book in the next three or four months (heaven forbid, if it’s a longer wait!) After you have wrung your hands and vented to your significant other about why publishers can’t seem to get their act together, you come to a major decision. You are going to be dignified and patient. And, while you wait, you’ll actually start working on your next novel. Sounds like a plan, right? If you’re anything like me, that plan has as much chance of succeeding as me flying off on a trip to the moon aboard a rickety old tuk-tuk. Instead of wasting those precious months away, why not prepare yourself for the release and get down to understanding social media marketing? So that when it finally hits the stores and e-retail outlets, you’re not scrambling for reviews and promotion opportunities. These are some of the things that I did while I was waiting—forever!—for my debut book to come out. Goodreads is a social network site for book readers. Once you have your cover pic ready and essential details such as ISBN/ASIN number, etc. 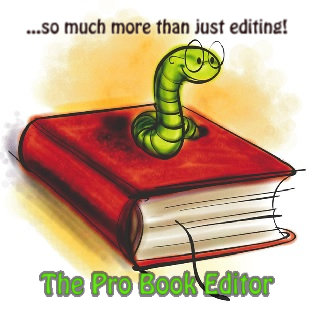 you can sign up for the author program page. You can create some amount of buzz for your upcoming book by announcing a giveaway event timed for the time of the release. But do remember that goodreads giveaways can only be done if you have a physical copy of the book. Another way to use Goodreads is to check out the readers who are also bloggers. Once you have made a list of potential reviewers, based on the genre they enjoy reviewing, you can offer them your book for advanced reviews. Most reviewers/bloggers are happy to cross-post reviews across several social media platforms including Google+, Facebook, Goodreads and more. And notching up a few good reviews even before your book is out is definitely worth your while. Most authors do have a website and a blog but very few are avid bloggers. There is nothing more frustrating for a reader (and a potential fan) to visit your website and find a blog that’s not regularly updated or doesn’t have the current information on your book/s. You can use your blog/website to provide little snippets about your book; entice readers with excerpts and closer to the date of the release announce fun events and do giveaways. Creating a follower base on Twitter requires time, effort and consistent posting. The trick is to create a small circle of like-minded twitter friends who enjoy reading your posts and will be happy to retweet them. However, keep in mind that constantly pitching your book will not get you the desired results. Your posts should provide something of value to your audience. So be creative, witty and don’t obsessively talk about your book. Over time, you will find a way to strike the right balance. 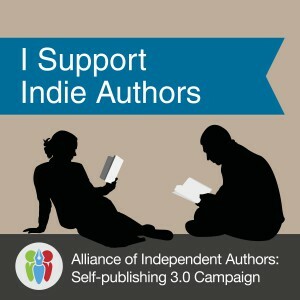 I have discovered a small group of supportive authors who write in the same genre as me and we often share tweets about our writing process and common concerns re: the publishing world. We support each other’s book promotion activities. Learning how to use hashtags and twitter handles effectively can make your tweets spread the news about your book far and wide. Be generous when others follow you. Sending out a thank you message or RTing other people’s updates will earn you more brownie points. To keep it manageable, it’s advisable to set up a schedule for your social marketing activities. Another way of reaching out to potential readers is by participating in activities of a book club. Reading and reviewing other books in your genre is a great way of making connections. Given that most book clubs, readers forums are also on Twitter and Facebook and Google+ this provides yet another opportunity for you to grow your universe of potential readers. Most importantly, don’t look at it as a boring, marketing chore but as an opportunity to meet and make new friends. Believe me, your attitude will go a long way in deciding how successful your online attempts are at winning friends and influencing people. So, keep calm and promote! —–Adite Banerjie is a screenwriter and published author. Her debut title, The Indian Tycoon’s Marriage Deal, releases in North America under the Harlequin E imprint in June 2014. I sooo believe in giving to others because it is truly in focusing on giving that we receive..whether our giving returns to us as joy, peace of mind, building a friendship or encouraging and then becoming encouraged ourselves. LinkedIn is also a great way to connect with readers and writers. A face boo page helps too. Thanks for posting the list. I have a question and need some advice, and I wonder if you can give your opinion. I have a pretty good following in my blog already but I’m thinking about starting another just for my novels. 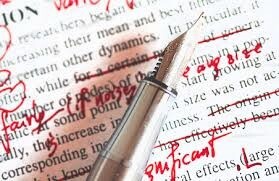 I haven’t published yet, but I’m close to finishing my edits. What I wonder is, do you find that fans of a novel are actually interested in an author’s life? Or is it best to keep the two separate? I have friends who do it both ways, (have dedicated blogs, or market on their personal blogs) and I’m not sure which is more preferable.